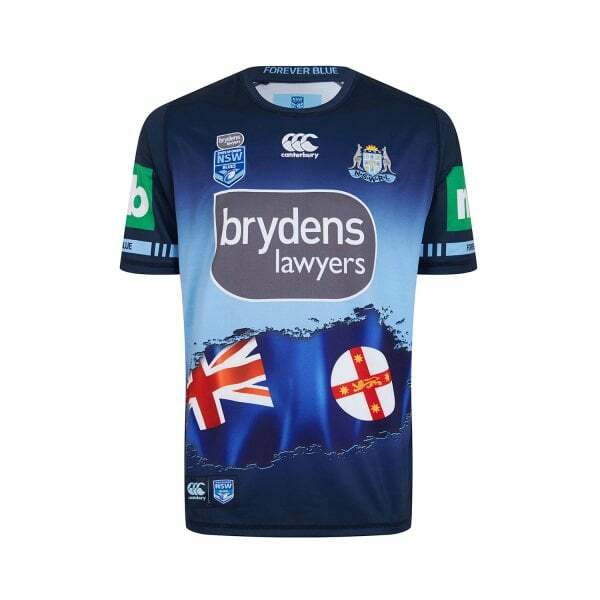 Leading them out in our 2019 NSW On Field collection, Canterbury’s Captains Run Pro Jersey is a powerful garment that deserves pride of place in your Blues supporters wardrobe. Canterbury’s Captains Run Pro Jersey is an exciting new addition to our 2019 NSW On Field collection. Featuring a colourful graphic that plays on the Forever Blue theme, it also focuses on celebrating the NSW state flag. As with our other Pro Jerseys, this is a quality garment incorporating the design elements you’ve come to expect from the Canterbury brand, including 100% Polyester construction and VapoDri fabric technology to wick moisture away and keep you cooler and drier for longer. Resplendent with authentic team and sponsor logos, this Captains Run jersey is a leader among jerseys and deserves pride of place in every Blues supporters wardrobe.